Hello, I am using Sim 800L. It is working fine for receiving SMS but could not send SMS. Serial Monitor is showing that SMS is sent but m not receiving it on phone. Do you get the +CMGS response with a number like +CMGS: 65. Check SIM card balance if enough credit is there to send SMS. I am getting +CMGS response and the number is increasing on every message sent… My sim also have enough credit. Then, you might have network issues. The message might be getting delayed in the network. Its getting sent from module but problem might be on receiving side. Try sending to different numbers. Use Airtel or Vodafone SIM cards. Idea and Docomo are known to have these issues. I am using Airtel sim with enough balance. I am not getting message on any phone except one samsung phone in which I am getting <> message. Try putting some delay before entering the SMS data after the module offers the > prompt. Also add some new line characters \r\n before entering message contents. Sir, please give me AT command for that. Yet not working. Balance is also deduction on each message sent from sim800l. So your message are going from module but not reaching end user. Its weird. Check with your network operator and ask whats happening. They might see some problem if present. Aman_Chaturvedi, Check your gsm modem first without arduino ,try to connect computer using serial or serial to usb cable use putty or any other serial port software check one by one message AT command . 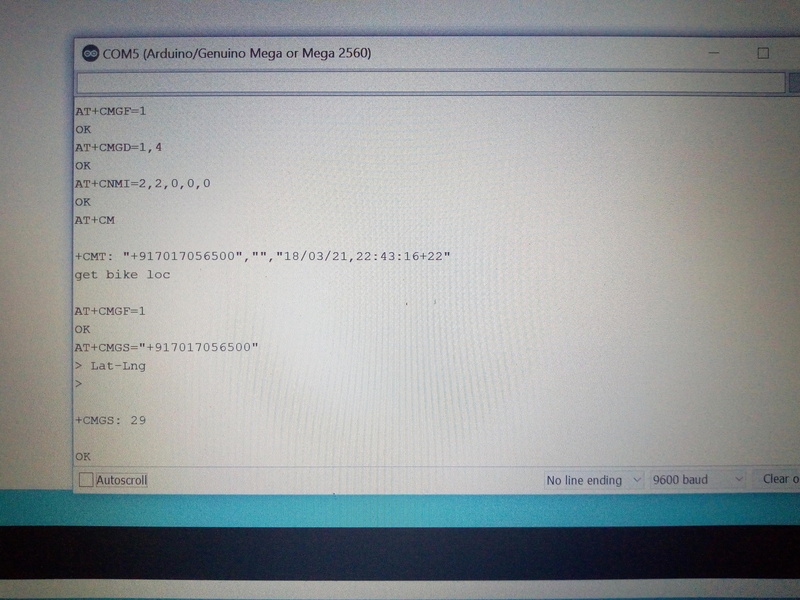 I can send SMS using putty but when I create C code with AT commands I am receiving blank SMS. Have you figured out how to fix it?